Only one month left to submit your talk for EclipseCon France!Only one month left to submit your talk for EclipseCon France! EclipseCon NA is just around the corner and I know many of you speakers are busy as bees polishing your presentation ; and even if you don’t speak, you are probably already starting to prepare your schedule and make the final travel arrangements. BUT! 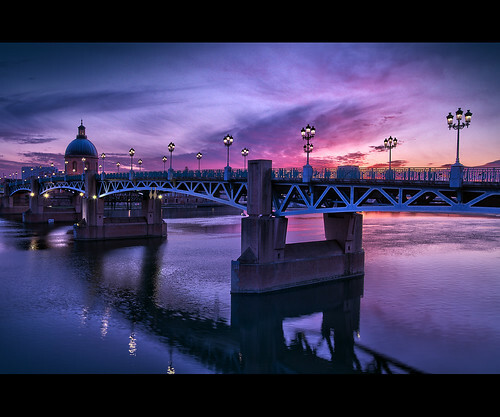 The submission deadline for EclipseCon France is fast approaching, and you don’t want to miss the opportunity of speaking in beautiful Toulouse at the beginning of June! Community and business models – The European ecosystem is flourishing of individuals and companies who use open-source on a daily basis to build real-life applications. Come and share your experience in establishing business models for open-source based software, and creating a sound community of adopters and contributors to your technology. We are trying a new format for tutorials this year. We want them to be advanced sessions, where participants who already know about a given technology can learn more advanced techniques, with specific usecases in mind. So don’t wait any longer, and submit a talk –or several!– NOW! Previous PostComplete EclipseCon 2013 M2M tutorial and take home some Open Hardware!Complete EclipseCon 2013 M2M tutorial and take home some Open Hardware!Next PostEclipseCon France call for papers: we want cool stuff! EclipseCon France call for papers: we want cool stuff!